Up-and-coming Dallas rapper Yella Beezy is best known for his smash hit single ‘That’s On Me’, a record that reached No. 1 while the artist was still unsigned, receiving extensive national radio play and leading to an invitation to open for Jay Z and Beyonce on their joint tour. The track has been viewed 83 million times since its release. 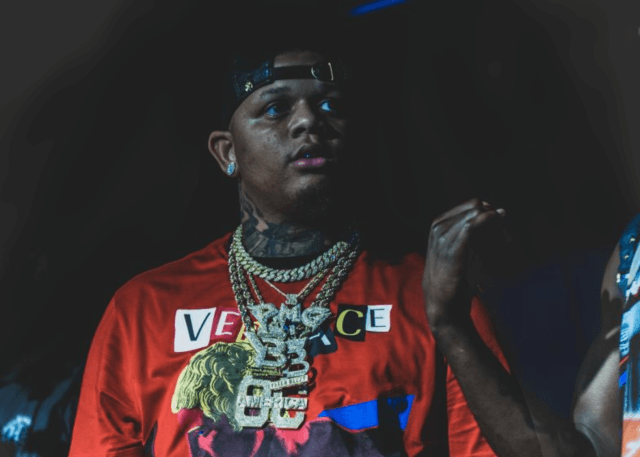 The rapper has been active since the early 2012s, releasing a steady series of highly acclaimed mixtapes – Lil Yella Mane (2012), Country Rap Tunes (2015), Lite Work (2015), and Broke Nights Rich Days (2017) – that have boosted his profile across the US and beyond. Beezy’s latest track, ‘Up 1’, (plucked from his latest mixtape ‘Lite Work, Vol. 2’) has received a remix and a guest verse from fellow trap wunderkind Lil Baby, exceeding 1.5 million views in under a week and eventually reaching a staggering 44 million. The rapper is also an incredibly popular presence on social media, with over 250,000 followers on Instagram. His elastic, gritty flow and undeniable charisma has placed him firmly at the forefront of a new wave of hip-hop artists upending the status quo.